Milkstone Studios, a quite prestigious Xbox Live Indie studio, has released their next Indie masterpiece Raventhorne today on the XBLIG Marketplace. Get ready to hack and slash some baddies in an impressive Norse fantasy world complete with lore, such as the ancient ash tree Yggdrasil and the land of Asgard. Do you have what it takes to defeat evil, or will our ravenwing-helmeted hero fail in his epic quest? Raventhorne is the first of many titles to be showcased and released in the Indie Games Summer Uprising event, with many more Xbox Indie Games to be released later this week and next week as well. This game blends high quality graphics with an insatiable and rewarding hack-and-slash side-scroller experience that never seems to get old. Pick it up today for the low price of 240 MSP; if you like games of this genre, I hardly think you’ll be disappointed. Raventhorne was also a submission to the Dream Build Play 2011 Competition. 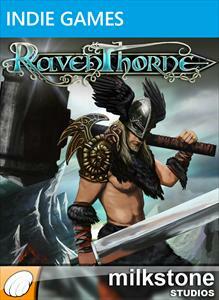 For more information on Raventhorne please visit Milkstone Studios’ official website.